A clarinet doesn't produce sound by itself. It's done by a combination of the mechanics of the instrument itself, the player's embouchure or setting of the lips and muscles of the mouth, jaw, and chin, and the air that is blown through the instrument. The clarinet has a slender cylindrical body with a flared bell at the bottom and a mouthpiece at the top. A moistened reed is firmly attached to the clarinet mouthpiece by a circular band called a ligature. 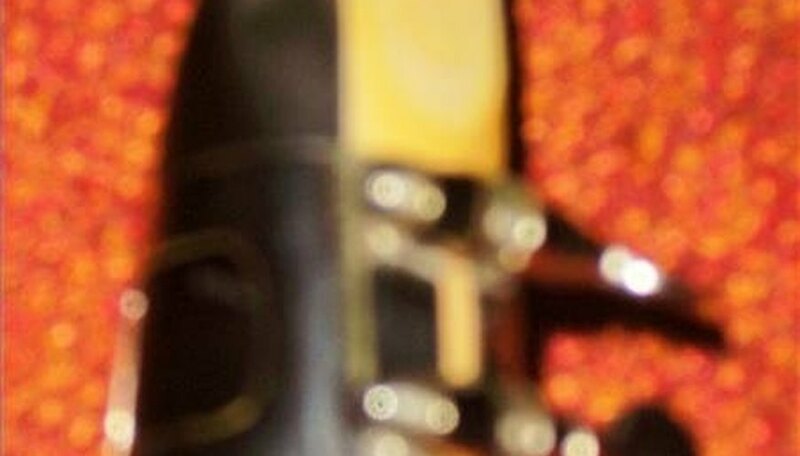 The ligature is tightened over the reed with screws, ensuring the reed remains in place while the clarinet is being played. The clarinetist places the mouthpiece with its reed in his mouth with the lower lip drawn over the top of the bottom teeth. The reed rests on the bottom lip while the top teeth rest upon the tapered top of the mouthpiece. Beginning clarinetists are usually taught to point their chins downward and out while the mouthpiece is in their mouths. 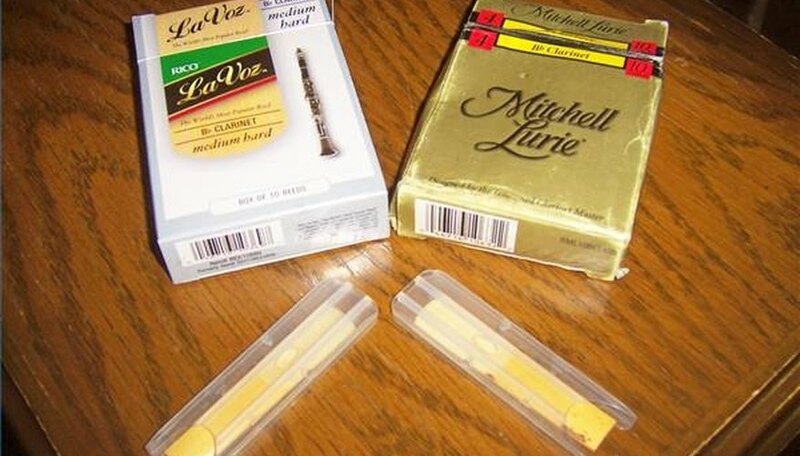 This prevents them from pinching off the reed by biting the mouthpiece. The clarinet is held at an angle of about 45 degrees from the body. When the player blows into the mouthpiece, the reed vibrates, causing the air column inside the clarinet to also vibrate and create sound waves. Keys and tone holes are spaced up and down the body of the clarinet. The tone holes are covered with the pads of the fingers, or the keys are pressed down to produce different tones on the clarinet. The sound waves travel to the first open hole on the instrument to make a particular tone. Sound radiates outward from the bell and the open tone holes of the clarinet. The clarinet will still produce sound if the bell is removed from the instrument. The quality of the clarinet's sound is determined by many factors. A beginning clarinetist can produce a random sound on a clarinet by putting the mouthpiece in his mouth and blowing hard. A quality sound is achieved by practice. The clarinetist must select a reed that isn't too hard, or the reed won't vibrate properly. However, the reed shouldn't be too soft or the player might pinch off the air flow with his normal embouchure. As the clarinetist becomes more experienced, he'll discover he has to increase the firmness of his reeds to achieve the same tonal quality. The embouchure formation shouldn't be too firm so as to restrict the air flow into the mouthpiece. If the embouchure is too firm, the clarinetist's muscles around his mouth will quickly tire. The embouchure shouldn't be too loose, either. A loose embouchure is one in which the clarinet mouthpiece can be jostled easily in the mouth. The noise produced will sound more like a squawk or honk. Air must be blown into the instrument in a steady, controlled manner. 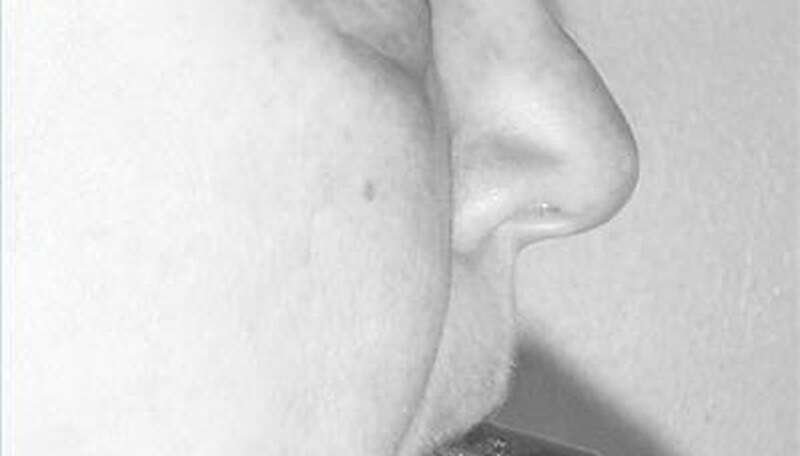 The clarinetist's cheeks should not puff out with the air he has inhaled to use for playing. Blowing too hard into the mouthpiece produces a squawk or honk. Blowing too lightly into the mouthpiece produces a fuzzy, weak sound. 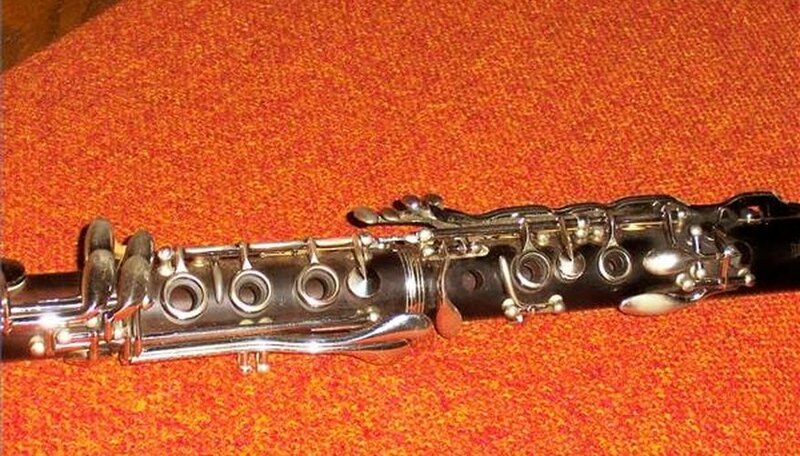 The beginning clarinetist will discover after a few weeks that things such as how loosely or tightly the ligature is screwed in place over the reed and where on the mouthpiece the ligature is positioned will also affect his ability to produce a quality sound. If he fails to cover a tone hole properly with his fingertips, a note that sounds like a squeak may be created. This sound isn't actually a squeak but is an upper harmonic tone to the one he was intending to play. How Does a Saxophone Work?